Producer and Director. Nationality: American. Born: Thomas Harper Ince in Newport, Rhode Island, 6 November 1882. Family: Son of the comedian John E. Ince; brother of the directors John and Ralph Ince; married Elinor Kershaw, 1907. Career: Child actor: stage debut at age 6, and toured in vaudeville and legitimate stage plays, and also acted in some films; 1910–11—director, Independent Motion Pictures (IMP): directed some films with Mary Pickford; 1911–15—producer and director, New York Motion Pictures: set up Hollywood studio, and hired directors Francis Ford, William S. Hart (also actor), Reginald Barker, Jack Conway, Fred Niblo, and Frank Borzage; 1915–17—Director-General of the consolidated company Triangle; 1918—formed his own production company, and in 1919 member of Associated Producers, Inc.: this merged with First National, 1922. Died: In Beverly Hills, California, 19 November 1924. "Drama and the Screen," in Photoplay (New York), September 1916. "What Does the Public Want?," in Photoplay (New York), January 1917. "The Undergraduate and the Scenario," in Bookman , June 1918. "Your Opportunity in Motion Pictures," in Opportunities in the Motion Picture Industry , Los Angeles, California, 1922. Mitry, Jean, T.H. Ince, maître du cinéma , Paris, 1956. Lahue, H. Karlton, Dreams for Sale: The Rise and Fall of the Triangle Film Corporation , New York, 1971. Daggett, Dennis Lee, The House That Ince Built , Glendale, California, 1980. Carr, Harry C., in Photoplay (New York), July 1915. Milne, Peter, "The Method of Thomas H. Ince," and "Directors Schooled by Ince," in Motion Picture Directing , New York, 1922. Cahiers du Cinéma (Paris), January 1953. Cahiers du Cinéma (Paris), February 1953. Cahiers du Cinéma (Paris), March 1953. Everson, William K., in Cinemage (New York), June 1955. Image (Rochester, New York), May 1956. Mitchell, George, in Films in Review (New York), October 1960, corrections in November 1960. In Spellbound in Darkness , edited by George C. Pratt, Rochester, New York, 1966. Silent Picture (London), Spring 1972. Cinema Journal (Evanston, Illinois), Spring 1979. Mitry, Jean, in Cinema Journal (Evanston, Illinois), Winter 1983. Bianco e Nero (Rome), January-March 1985. Cinema e Cinema (Bologna), January-April 1985. Griffithiana (Gemona, Italy), September 1986. Dyer MacCann, Richard, in The First Filmmakers , London, 1989. Wanamaker, M., "Thomas Ince's Dias Dorados: Spanish Style Grandeur for a Pioneer Producer," in Architectural Digest (Los Angeles), April 1994. Dumaux, S., "King Baggot and the Mystery of The Lost Mirror ," in Classic Images (Muscatine), November 1997. Thomas H. Ince's contribution to film history is perhaps easy to define but hard to evaluate. Much of the attention he has received in recent years has come from European critics who have given him credit for the direction of Ince productions. These were actually undertaken by others, but because of Ince's showman instincts he put his name as director to all his productions through the mid-1910s, and today it is a far from easy task to assign credit. Critical praise for Ince has also come from left-wing historians anxious to find a suitable recipient for the praise which rightfully belongs to the politically unacceptable D. W. Griffith. After a lengthy and successful stage career, Ince came to films initially as a director, and from all accounts, a not very good one (particularly if Mary Pickford is to be believed). After joining the New York Motion Picture Company, Ince embarked on a production career which was to keep him a prominent member of the film community until his death. He was a great organizer and entrepreneur, who understood the value of detailed shooting scripts and production schedules at a time when the industry was very undisciplined. Between 1911 and 1913, he produced some superb, realistic westerns, the most important of which is War on the Plains , starring Ethel Grandin and Francis Ford (who, with E. H. Allen, was probably responsible for most if not all of the direction of this and other Ince westerns). 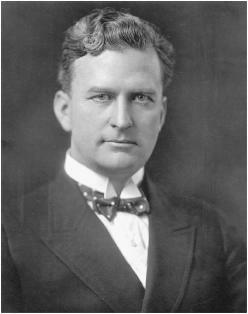 As William K. Everson has noted, "Ince was a showman, a routine director, and a mediocre editor," but his early films had a popular and down-to-earth appeal, lacking in the work of many of his contemporaries. Ince was also a sound recognizer of talent: witness his signing of cowboy star William S. Hart and bucolic actor Charles Ray, both of whom enjoyed long careers under contract to the producer. Ince deserves credit for making Frank Borzage a director, and for the production of a number of exquisite Japanese idylls starring Sessue Hayakawa and his wife Tsuru Aoki. Civilization was Ince's last great production, a somewhat sorry allegorical plea for pacifism, and for the next eight years Ince seemed content to turn out program pictures starring the likes of Enid Markey, Enid Bennett, and William Desmond. He does, however, deserve credit for discovering popular romantic comedian Douglas McLean in the late 1910s and for producing the first screen version of a Eugene O'Neill play, Anna Christie , which was highly regarded in its day and contains one of the best performances by its star, Blanche Sweet. Ince died shortly after being taken ill on board William Randolph Hearst's yacht, and his death has been the subject of much innuendo and gossip. Indeed, sadly the "mysterious" circumstances surrounding Ince's death seem to hold more interest for students and scholars than the man's extraordinarily long and profitable career.